Beth Kirsch’s interest in artisanal chocolate making began four years ago, when—with the best of intentions—she ruined a perfectly good bar of dark chocolate. Nowadays, the chocolatier behind Beth’s Chocolate knows that the tempering process is critical to getting the “smooth, melt-in-your-mouth texture” she covets. But in late 2012, Kirsch nuked the chocolate bar in a microwave, poured the mixture into a plastic mold with 14 tiny Eiffel Towers and put it all in her refrigerator. Later, she found herself banging the mold against the countertop, eventually chiseling out pieces that tasted nothing like she had hoped. 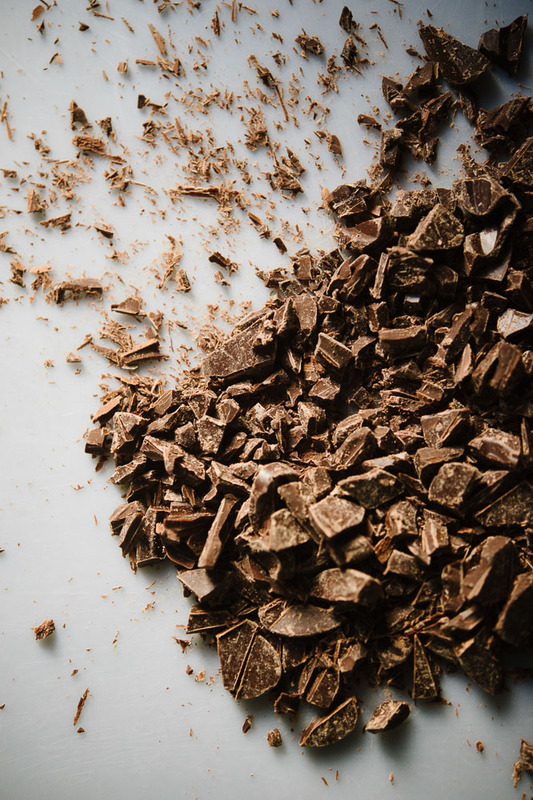 “I had this beautiful chocolate bar that would have been delicious if I had just eaten it [on its own], and it then tasted awful,” says Kirsch. As a lifelong chocolate enthusiast who has held a house party with homemade chocolate desserts and planned trips to Europe around exploring chocolate shops, Kirsch had the passion—but not the knowledge—to create on her own. So she embarked on a journey to fix that lack of knowledge—and she did. Kirsch began with an afternoon class where she learned the basics of tempering chocolate, exploring her hobby for more than a year before she decided to take it to the next level. She participated in a three-month internship at the acclaimed EHChocolatier in Somerville, then earned a professional chocolate certificate with honors online from the Vancouver based Ecole Chocolat, and finally traveled to France to complete the master chocolatier program at the Valrhona École du Grand Chocolat. In the spring of 2015 Kirsch got the kitchen of her Newton home certified as a professional kitchen and launched Beth’s Chocolates—“partly because we just couldn’t eat that much chocolate,” she says, laughing. Tens of thousands of chocolates later—including many made successfully with the Eiffel Tower mold—Kirsch found that her career producing children’s television for WGBH and PBS lent itself surprisingly well to being a chocolatier. Kirsch often looks to other local food businesses for flavor inspiration. Salt & Olive, a specialty oil and vinegar shop in Cambridge, sells an unapologetically fiery batch of cayenne pepper, which she mixes with cinnamon into chocolates for a spiced and spicy bite. Fastachi, the popular roasted nut shop with locations in Boston and Watertown, sells a pistachio butter that she is experimenting with in the form of a rich pistachio crunch. A shrub—a concentrated mixture of fruit, vinegar and sugar—by Spiker’s Shrubs in Amesbury inspired Kirsch’s popular “ginger three ways” chocolates. She infuses the ganache cream with grated ginger and adds the ginger shrub; after dipping the ganache in chocolate, she tops it with an itty-bitty sliver of crystalized ginger. Kirsch tries not to add extra sugar to her chocolates unless doing so is essential to the recipe, like for caramel or a pâte de fruit. And because sugar acts as a preservative, this means her chocolates have a shorter shelf life, she says. The texture and taste will dissipate over time. Kirsch plans to keep Beth’s Chocolate small enough that she can still run it as a single-woman operation out of her kitchen, overseeing the quality of every single piece and feeling like she is a personal chocolatier for her customers. Kirsch still continues to experience that same feeling of awakening. She recalled how shortly after getting into chocolate making, she met a renowned chocolatier in Paris who told her that he had been doing this since he was 15. At the time, she didn’t know whether to be intimidated or humbled. Now she understands.